1. 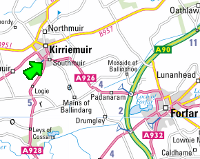 The www.briquettes4u.co.uk website is operated by Kirriemuir Briquette & Boutique Log Company and the purchase of goods from this website is governed by these Terms and Conditions. From time to time we may amend these Terms and Conditions; this will be reflected in the date indicated at the end of these terms. Orders placed after this date will be bound by the changes made. 2.1. To place an order on our website you must be eighteen years old or over and agree to the terms for payment set out by our online payment service provider. 2.2. We will confirm acceptance of your order. We will do this either by email to the email address you have provided us with or by displaying a message on the website immediately after you have submitted your order. We may do both, in which case acceptance will deem to be whichever arrived the soonest. In certain cases, and if you have provided a telephone number, we may call you to confirm the details of your order before processing it. 3.1. The price you will pay will be the website price at the time you placed your order, subject only to any clerical or technical error for which we will not be liable. In such situations, we will try to correct any errors if possible, and will contact you informing you of the correct order details for you to accept or decline. 3.2. The prices stated on the website will be inclusive of any VAT payable. 3.3. The price of the goods includes a charge for delivery if you have entered a valid postcode. Otherwise, the delivery charge may vary depending on your area, and your delivery time. No delivery charge is made for collection of the goods from our address. 5.2. The debit and credit cards accepted by us are those of our payment service provider at the time of your order. We endeavour to reflect the information about the types of cards accepted by our provider on our website, however, we will not be able to accept payment online from cards, which are not accepted by our provider even if our website indicates otherwise (we will update our information as soon as we become aware of any changes). 6.2. We will always try to supply you with the full quantity that you have ordered. In the event that the goods delivered to you are incomplete or include incorrect goods, you must notify us promptly. 6.3. We will deliver your order to the delivery address that you selected when you placed your order. We reserve the right to restrict deliveries in certain areas, and this includes the right to eliminate certain areas from our delivery schedule altogether. 6.4. The delivery day and time is agreed with you when you submit your order. Whilst we make every effort to deliver your order in the agreed time we will not be liable if we fail to do so in part or in full due to circumstances beyond our control. If we fail to deliver to the agreed time then we will endeavour to contact you as soon as we are able to reschedule your delivery time and date. 6.5. If we are unable to supply any of the items in your order we will contact you to agree appropriate substitutions or actions. If we have difficulty contacting you this may delay dispatch of your order. 7.1. You can amend your order or cancel it until the time it is dispatched. Orders can be amended by telephone or email before dispatch. 7.2. You may cancel your order up to seven (7) days after delivery. If you are unable to inspect the goods and notify us of your cancellation at the time of delivery, we will require that you return the goods to us at your expense. If you cancel at the time of delivery we will uplift the goods and cancel your order, providing you with a full refund. If you cancel your order after delivery, we require that you return the goods to our address at your own cost, undamaged, and in the best possible condition, making an allowance for inspection purposes. If you have collected the goods from our address the cancellation period does not apply. 8.1. We guarantee the quality of our goods. You must inspect the goods and notify us promptly by either informing the delivery person, telephone or email of any dissatisfaction with your order. For the goods that are deemed to be defective or not as described we will arrange with you for them to be collected and at your discretion we will either fully refund you for them or replace them. 10.1. The information we request from you when you place an order will be treated by us with care and security. We will not sell or rent your information to any third party for their marketing purposes unless you agree otherwise. 10.2. Your card payment details are stored by our payment service provider. 11.1. These Terms and Conditions shall be governed and construed in accordance with the laws of Scotland and any disputes will be decided only by the Scottish Courts. 11.2. If any of these Terms and Conditions are held by any court of competent authority to be unlawful, invalid or unenforceable, in whole or in part, this will not affect the validity of the remaining Terms and Conditions which will continue to be valid and enforceable to the fullest extent permitted by law. 11.3. 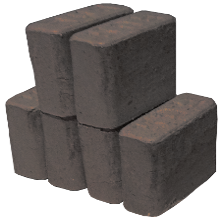 The content of the www.briquettes4u.co.uk website is protected by copyright, trademarks, and other intellectual rights. 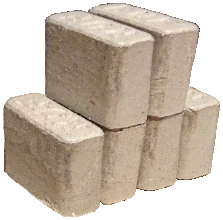 You are only permitted to use this material for your personal use in placing orders through www.briquettes4u.co.uk. You may not otherwise reproduce, copy, modify, distribute or use for commercial purposes any of the content of www.briquettes4u.co.uk without written permission from us.